Prefab Homes & Modular Homes – What Is the Difference? 15 Dec Prefab Homes & Modular Homes – What Is the Difference? Everyone recognizes the fact that all poodles are dogs, but not all dogs are poodles. It is the same with modular homes. All modular homes are prefab homes, but you cannot say that all prefab homes are modular homes. For instance, a mobile home is a prefab home but there are huge differences between modular homes and mobile homes. Normally when people use the term ‘prefab home’ they are talking about a modular home. Prefab homes consist of several units built in a controlled factory environment and then assembled on location. Depending on the home, these sub-assemblies could be nothing more than a wall or they could be entire rooms or wings of a home. All of this is determined by the modular home floorplan and the customizations taking place. How can you customize a prefab home? I don’t know how many of you have ever played with Micro Machines. Galoob produced these tiny little playsets that interlocked with one another directly or with tracks. Parents would purchase any number of these little modules and kids would assemble them together in an infinite number of ways. The result was a unique, custom structure, made up of these smaller units. A prefab home or modular home is customized the same way. Most homeowners will start with a modular home floorplan and then tweak it to suit their needs. Do you want to add a basement and an extra bedroom? No problem! Would you like to put a shop on the back of the garage? Sure thing! The customizations don’t stop there, of course. Inside the home, you get to pick the same things that you would if you were having your home built on site. And so on… Your home won’t resemble any other prefab home built at that same manufacturing plant. Why do people buy prefab homes? The answer to that questions is easy. People are drawn to prefab homes by the cost and become true converts when they realize the quality of what they are getting. The concept of the prefab home came about as a way to minimize construction waste and drive down building costs. Not only was a prefab home less expensive to build but they were also more energy efficient. Because of the industry’s exacting standards and rigid quality control, prefab homes saved homeowners money all the way around. 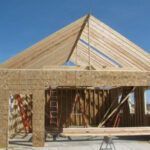 Quality of construction comes because not only do prefab homes have to meet local building codes, they also have to meet quality control guidelines at the facility. These are often more stringent than those required by local governments. The materials used in construction do not have to sit out in the elements until they are installed. 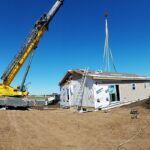 Finally, prefab home manufacturers have steady work year around and can afford to employ skilled labor full-time as opposed to using contractors that come and go with the season. How can you learn more about prefab homes? Next Modular came about when the owner, Joel Comino, realized what a need there was in the home industry for quality builders that actually listen to and take care of their customers. If you live within 70 miles of Goshen, Indiana, Next Modular can build and assemble a customized prefab home on your building site. Select one of their hundreds of modular home floor plans and call Next Modular to find out how you customize it into your very own dream home.